Our delicious Cornish Pasty Hamper with added cheekiness! Crimped to perfection with a little Cornish Tea and Chocolate to wash it down! Cornish Pasties to cuddle,look after your keys and stick on the car! Choose your Favourite Pasty Peep to include in this Hamper. Includes your personal message in a handwritten Cornish themed Greetings Card. 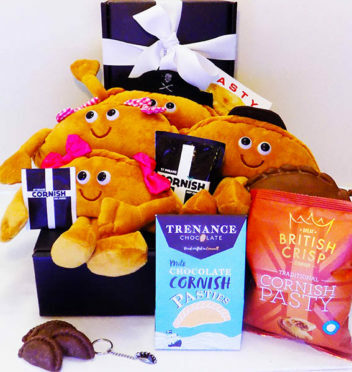 A fabulous fun hamper for a genuine Cornish Pasty lover!